Guests can take advantage of the ocean-front yoga center, offering daily classes alongside a small executive gym and open-air massage facility. 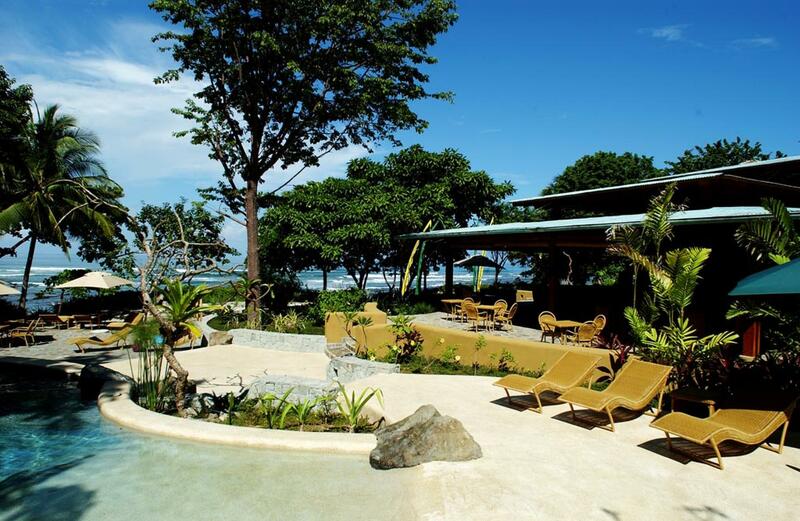 The Balinese restaurant is completely open-air, with views of the ocean and cascading swimming pools. The menu has an Asian flare and meals are prepared with the freshest seafood, produce and vegetarian fare available. The resort offers privacy and exclusivity along with elegance, fine gourmet dining and impeccable accommodations. The architecture resembles a mixture of what you would find in Bali, Mexico and Costa Rica. The open-air villas are designed with soothing earth tone colors, spacious living rooms, ocean view verandas and bathrooms with a Balinese decor, including open-air showers, sunken tubs, and gardens. *Only 6 years and over allowed.